Metal buildings have come a long way. A wide array of advantages makes steel buildings a great choice for residential and commercial properties. 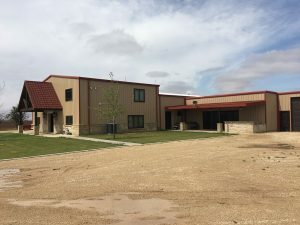 As soon as anyone mentions metal buildings, we tend to automatically think of a tough structure, able to withstand rough weather and heavy use. Some of the most popular buildings made from metal beams and walls are sports arenas, airplane hangars and large warehouses. Lucky for us, homes and even smaller structures like garden sheds made of metal are gaining popularity in the market. Your home doesn’t have to look like an Army Quonset hut. Steel buildings can be finished with the same exteriors that cover traditional homes. You can choose textured finishes like stucco and wood or paint them any color. They are low-maintenance structures. Compared to conventional frame or brick buildings, metal construction requires fewer repairs. These types of buildings simply last longer because of the minimal wear and tear they receive. Steel buildings use less energy to produce and last longer than traditional buildings. Their construction also allows them to be recycled if they are torn down, damaged or no longer needed. Coupled with the fact that they are low-maintenance, these advantages make them highly sustainable. Since no trees are needed to produce these structures, they are environmentally friendly. Less of a need for massive support columns, which perfectly suits them for many different types of commercial facilities. They take less time to build than traditional structures. Some metal buildings come pre-fabricated and only need to be pieced together to produce the final product. Fire resistance is a major advantage when it comes to steel structures, and because of its fire retardant nature, insurance companies often offer rebates for their customers when they insure metal buildings. 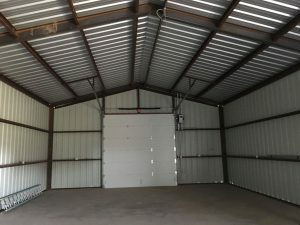 Existing steel buildings can be adjusted or expanded by adding panels instead of tearing down walls and support beams. Not only are these durable homes and commercial buildings able to withstand extreme weather and sometimes, even earthquakes, these buildings are also resistant to pest invasions by wood-eating termites. State-of-the-art design and manufacturing processes are now used to create metal homes and businesses with a high strength-to-weight ratio, which minimizes the cost of raw materials as well as waste during construction. With the highest strength-to-weight ratio of any construction material, steel is 25 times stronger than wood. From a simple, yet durable garden shed to a beautiful home, metal buildings can fulfill residential needs and serve as long-lasting commercial projects such as schools and churches.